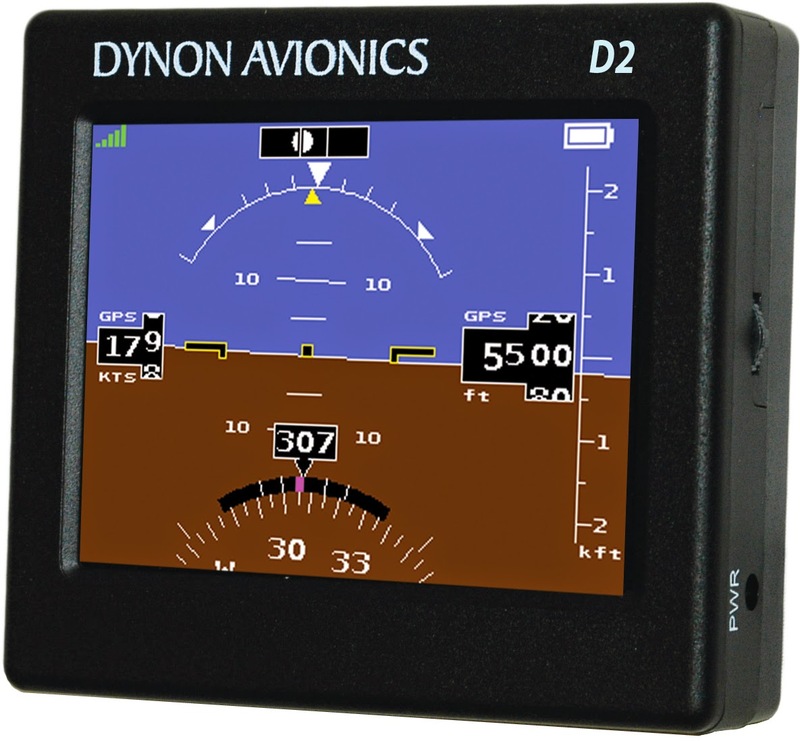 The D2 features the same MEMS-based AHRS technology that is in Dynon SkyView - the leading EFIS system for Experimental and Light Sport Aircraft. The D2 is a true artificial horizon with responsive and accurate pitch and roll. The AHRS sensors also provide a turn rate indicator and slip/skid ball. Included is an internal GPS receiver that provides GPS ground speed, altitude, vertical speed, and ground track. The D2 features a second G-Meter display page that shows a graphical round dial with the current G load factor shown by a needle. It also records the minimum and maximum G’s since last reset by the pilot. Wi-Fi connectivity to mobile devices allows the D2 to send attitude, ground speed, altitude, G’s, and ground track to aviation applications in real-time. Those applications can then show that data on a flight information display. Compatible apps include WingX Pro7, Seattle Avionics FlyQ, iHUD Remote, and Air Navigation Pro. At only 3½” wide, 3¼” high, and 1” thick, the D2 is truly portable. It features an internal rechargeable Li-Ion battery that will lasts at least 4 hours and up to 8 in typical use. The D2 comes with two portable mounting options, neither of which require tools to use. Therefore, no regulatory approval is required to use a D2 Pocket Panel in any aircraft. The first mount is a RAM® suction cup mount. The second is a 3 ⅛” portable “pinch” mount that allows the D2 to be easily mounted in an empty existing instrument panel hole. Accessories included with the D2 are an AC power adapter, a DC vehicle power adapter, a RAM® suction cup mount, 3 ⅛” portable “pinch” mount, internal Li-Ion battery, and external GPS antenna. 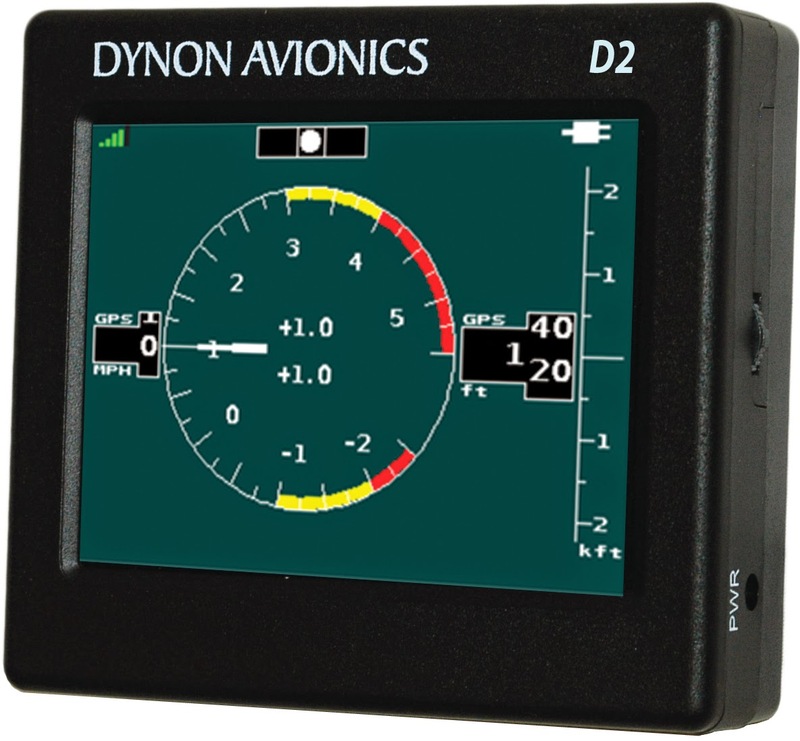 D2 Pocket Panels are available now from Dynon Avionics dealers.